There is a place where your ideas can be turned into creations to be worn. 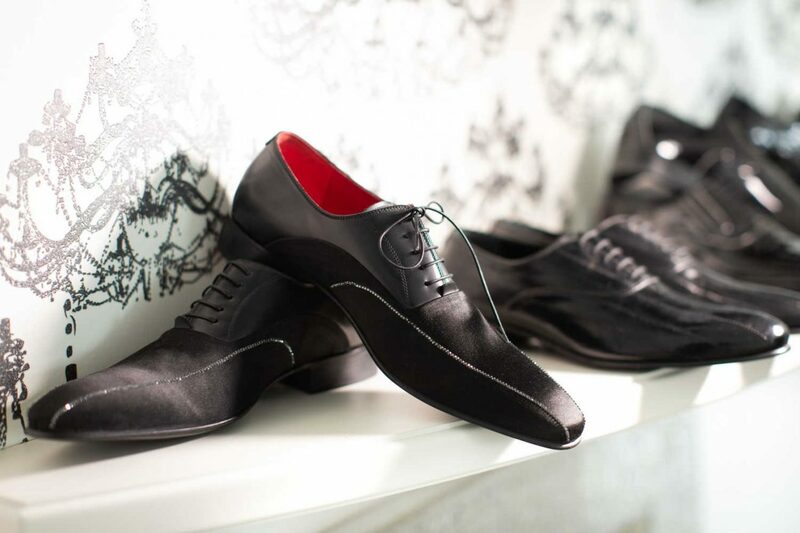 Come and visit us and get ready to meet the shoe you have always dreamed of. You can browse through a wide range of items to help you to show us your preferred model and to choose the materials, details and finishings you like best and which correspond closest to your requirements. With a choice of Swarovski glass, coloured accessories and all sorts of gold, together we can make the shoe of your desires.